During the earliest years of life, children are developing attachments to the significant adults in their lives. Strong emotional attachments allow children to develop a sense of trust and to build healthy relationships with other people. Before a child can learn, he must feel safe and free to make his needs known. When he develops a strong emotional bond with his teacher, he will have the best opportunity to explore and learn in his environment. When these attachments are not strong and secure, children may suffer the emotional consequences for the rest of their lives. Staff turnover will never be eliminated. And since your staff is a crucial component to your center’s success, it is important that you minimize the frequency of turnover and the impact that it has to your students. 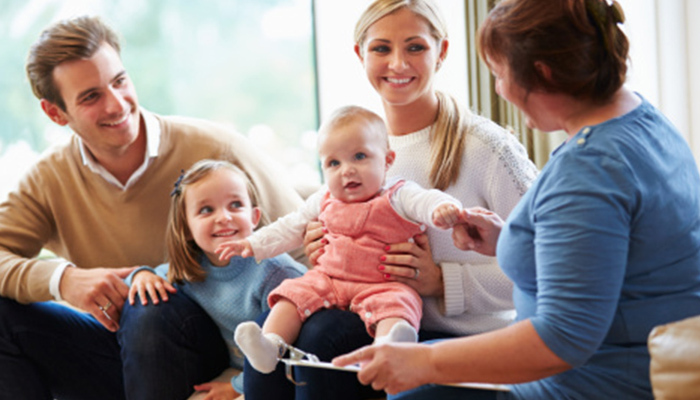 Another reason that staff change is best minimized is that parents are very focused on the quality care that their children have and who is providing that care. Your reputation is partially dependent on the quality and skills of your staff. What are some best practices for handling inevitable changes that will take place amongst your staff? Don’t refer to your classrooms by teacher’s names. This causes an immediate issue when that name is no longer valid. Regardless of how your relationship ends, you should remain professional and make all of your comments and the comments of other staff members positive. This will maintain your credibility with your parents. Maintain a neutral stance when questioned by parents. Refrain from announcing new staff members in advance, just in case something prevents this from happening. Sometimes these types of changes are difficult to explain to children (and to parents). Make sure new staff members are properly introduced to staff and parents immediately. Send out a letter and put up some background information on your new employees so parents know a little about them and will feel more comfortable. Stress their related experience and education. When you do introduce new staff, be sure they wear a nametag and that you have their picture and name on your parent’s board. Give the students the opportunity to say good-bye to the staff member. If this isn’t possible, let them know why. If the situation has been brought on by happy events, then children need to know that they should be celebrating with the person – even though they are saying good-bye. If there is the chance that a staff member’s exit will be problematic, don’t leave them alone with parents or you may have more problems after the person’s exit. Also have someone else train this exiting staff member’s replacement if you recognize any level of negativity. The replacement needs a positive start to a relationship with you and your center. It is a good policy to offer exiting staff substitute opportunities. Parents will have a very positive feeling about this. It also leaves the door open for a good staff member to return. What if there is a gap between exiting and replacement staff? Inform parents. Let them know that your priority is filling the position with the best teacher possible and that you’re taking the time necessary to find the best person for the job. Always assert that you are in control of the situation – even if you don’t feel like you are – and make sure that curriculum, lesson planning, accountability and overall quality show no lapse while your interim teacher is in place. Appoint a contact person for the interim so that confusion is minimized and day-to-day communications are maintained. Regardless of your staff situation, remain calm. The attitude you project- calm or hysterical – will permeate through the center. Be sure to get your new staff oriented to the center and trained on all activities and processes that their position touches. It is a good investment of time and will pay off later. The comfort this will create for you and the new person will be obvious to your students and their parents. Do everything you can to provide a warm and friendly environment. All staff should be greeting and interacting with parents and children at all times, but this is even more critical during staff transition periods. How might children respond to staff- especially teacher – changes at their child care center? What else is impacted by these changes? 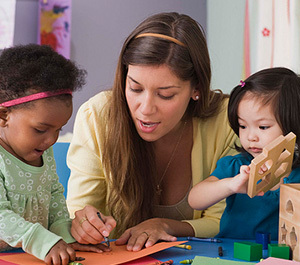 Teacher turnover is problematic to other teachers in a child care program because a child-care is a business and suffers inefficiencies when staff members leave. 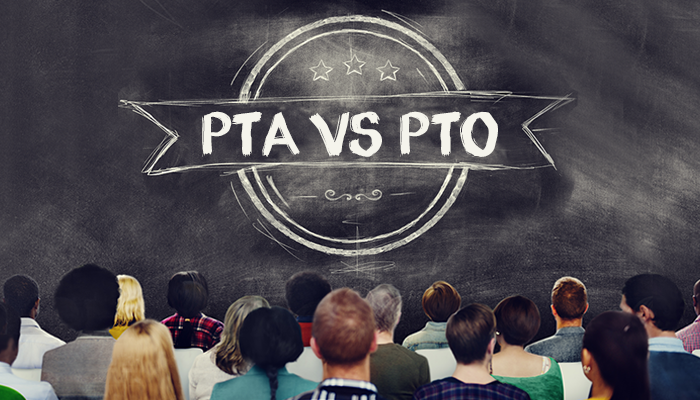 Teachers left behind often must assume extra responsibilities and may have to shift their duties to fill in for the missing teacher. This added burden may affect their classrooms and children. Staff change is an ongoing burden for child care centers. If 30 percent of a center’s teachers leave every year, time and money must be invested in recruiting and retraining qualified teachers. Finding and hiring new teachers with appropriate education and credentials to maintain the program’s licensure and standards consumes the time and energy of directors and staff. Loss of students and therefore revenue because many families remove their children from centers with high teacher turnover. As and owner or director, how transitions proceed is in your hands. But you are dependent on your remaining staff to hold down the fort and make sure that your good “business as usual” processes keep running. Make sure that they know how much you appreciate them.